F3LECIA is a singer, songwriter, and producer born in Maywood, Illinois, and had quite a unique, yet destined entrance into the world of singing/songwriting/recording. Music seemed to be in her DNA straight from the start, as she began singing at the age of 2, and actually began re-arranging songs by the time she was 5. While listening to the radio, her parents noticed that she would take a song and totally redo it, making it sound better than the original. In 1995, she was introduced to Glen Wallace, 8 ball & MJG, and Tony Drapper of Suave House Records. Immediately, they linked her to the label once they heard how unique her voice was. F3LECIA Was associated with the label until 1996. In 1997 F3LECIA got a chance to enter the mainstream music world by Joining along with multi-platinum artist, Krayzie Bone from the group Bone Thugz-N-Harmony. F3LECIA met Krayzie Bone at a music festival in Houston, Texas while Bone Thugz were performing. F3LECIA states that a voice told her to approach the stage, F3LECIA told Krayzie that she was a singer and he wanted to hear her sing and had told her about a label. F3LECIA immediately impressed Krayzie Bone with her unique vocal skills. Krayzie immediately made arrangements for F3LECIA to join him in Miami after the tour, and two weeks later they started the project, Mo Thugs: Family Reunion. From the time span since 1998 up to 2010, F3LECIA had been writing and singing songs with Bone Thugz-N-Harmony for their albums and also working with Layzie Bone separately. Her first songs with Bone Thugz were "All Good", and "Ghetto Cowboy", which were featured on the 1998 platinum-charting album, Mo Thugs: Family Reunion. Then after came the single "Armegeddon", which was featured on Krayzie Bone's debut album, Thug Mentality 1999. For the album, Mo Thugs III: The Mothership, she worked on the songs "This Ain't Living”, and "To The Playas” in 2000. The next year, she helped with the single "Get Up & Get It”, which was featured on their gold-charting album, Thug World Order. F3LECIA also began acting on a larger scale by doing a movie titled Bar B Q, which was a DVD-to-direct featurette, along with the movie, Thicker than Water which starred Mac10 and Fat Joe amongst others. She was also featured in Bone Thugz-N-Harmony’s I tried movie, and various background work in commercials, and film. F3LECIA has also made various appearances in other music videos as a special guest. In 2003, F3LECIA arranged and helped write another song entitled "All Life Long" featuring Layzie Bone. She helped with several other songs on the gold-charting LP Mo Thugs IV: The Movement. 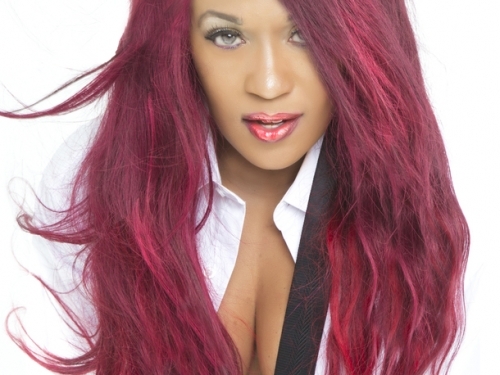 From 2004 to 2005, F3LECIA began focusing on her solo career and building up her own label, Chozzen Empire, which was in the developmental stages as she took the time to help groom and write with the featured acts. She also endeavored into taking acting classes to take her acting skills to another level, which helped her to gain the roles of voiceovers. She also took the time to study medical coding, which she described as "a dream she always wanted to achieve". In 2006, F3LECIA geared up for writing another feature with Bone Thugs N Harmony on their gold-charting album release, Strength & Loyalty, on the song "So Good So Right". Shortly after, F3LECIA began to focus on her solo project. In 2007 F3LECIA started a non-profit organization called Harmony Howse, which served as housing for the homeless.With the release of a Bone Thugz-N-Harmony reunion album in 2008 entitled Uni5: The World's Enemy, she helped with the naming of the album, along with writing a few songs. Again in 2009, she began focusing her attention her label Chozzen Empire, and the featured acts, along with her debut project and major label ventures. Aside from Bone Thugz-N-Harmony, she worked with Layzie Bone separately on his solo project, a two-part album titled The Definition and The Meaning. She helped with the song "Lucky 7". After her label had passed the developing stages, F3LECIA unveiled her label to the public in 2011. The company centers around acting, music, and writing. Chozzen Empire Entertainment is also a part of a charity in which it provides support for abused women and children. After working on various things for a tedious time span, F3LECIA started to work on her solo album entitled Before My Time in 2012. After years of Perfecting her craft, and building her audience, F3LECIA decided to show the world her project. She gained vast attention for her singles "Love Out There" and "None Ya Business”. F3LECIA's next single titled, "I'll Ride For You" is set to be released on the radio stations this year, along with the release of the highly anticipated debut album hitting stores. In 2013 F3LECIA focused on her entertainment company, Chozzen Empire, developing acts such as DAHKRU, Scottie Ca$h R3DD, and others. F3LECIA also has her charity foundation ‘Chozzen Home’, which is aimed at stoping domestic violence on women and children but does not discriminate against men. F3LECIA's also at development stage for her other foundations such as her foundation, ‘Interceptions’, which is aimed for homeless animals & animal cruelty. Other causes that F3LECIA believes in is the cause ‘Stoping Human trafficking’.